Thanks! Great details on the tail-fix. I enjoyed your moose video too. Nice. Is that a Clas Ohlson case? Thank you so much ! Just done this fix on my talon tricopter. 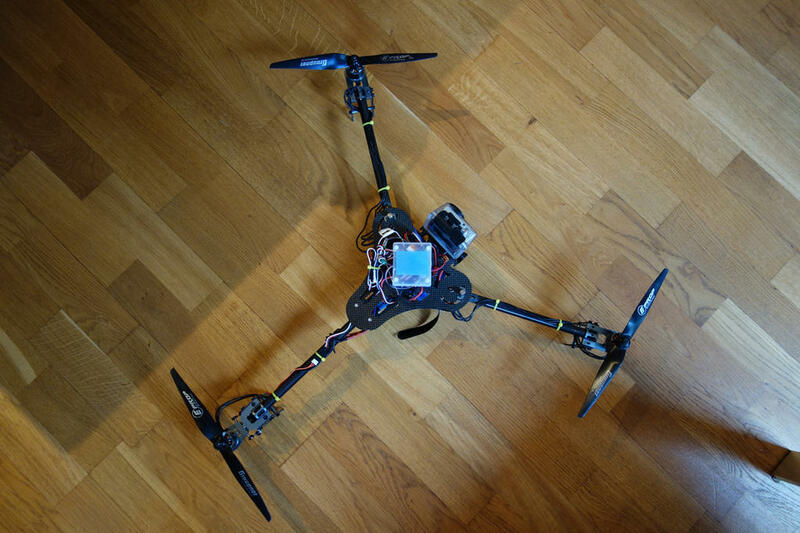 Works Great, I think this is the only issue of this great tricopter frame. Sorry, I still can’t see how you tighten the lock nut up and and that fixes the locking up problem. 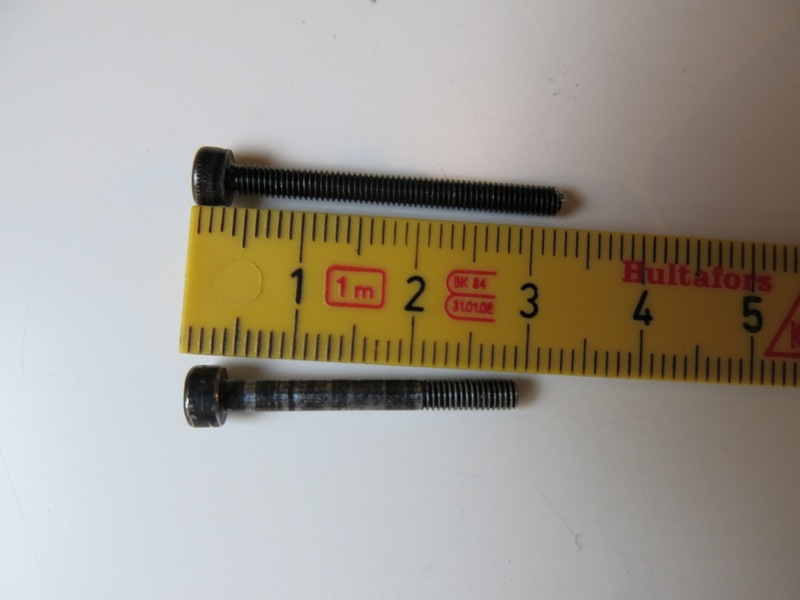 You are still tightening the whole assembly up so it hasn’t fixed the problem. I’m building mine right now and have a great collection of nut, bolts and washers. The head of the bolt is a perfect fit to ride on the center of the bearing so I left that as is. 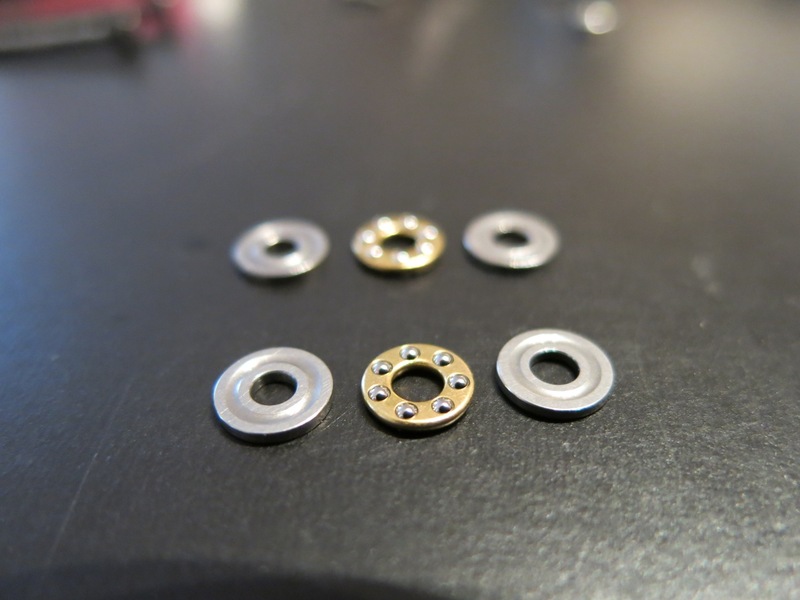 Then the next section I fitted the washers with the groove facing outwards, then the roller bearings then the other grooved washer. One of those grooved washers are slightly different in size to match the slightly different sized recesses in each part. Why I don’t know but Both sets are the same. 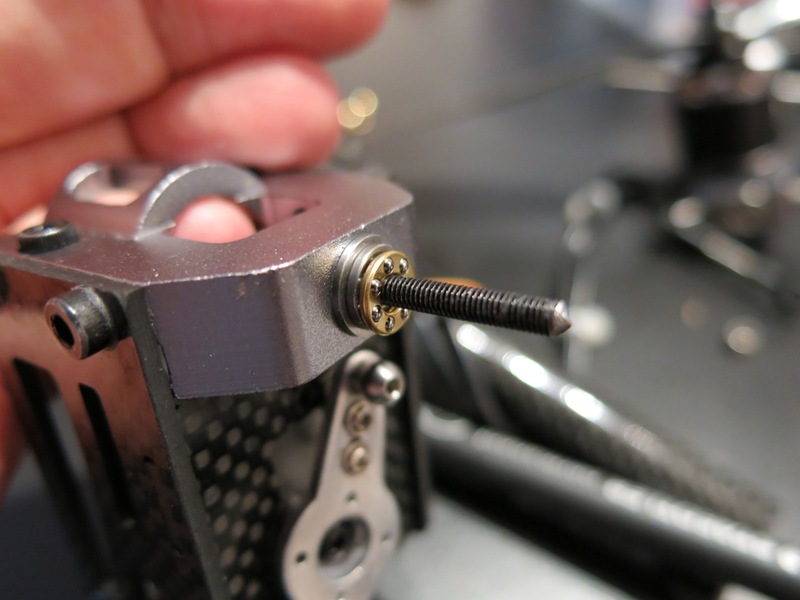 I then added the motor mount, the small washer they supplied in the bearings kit and then the lock nut. 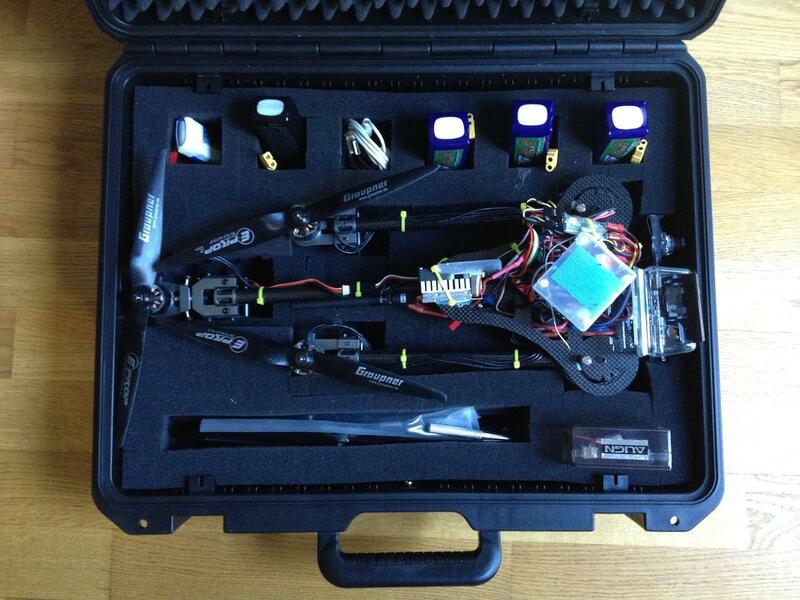 Hey, do you have an exact model of your flight case? That looks perfect! 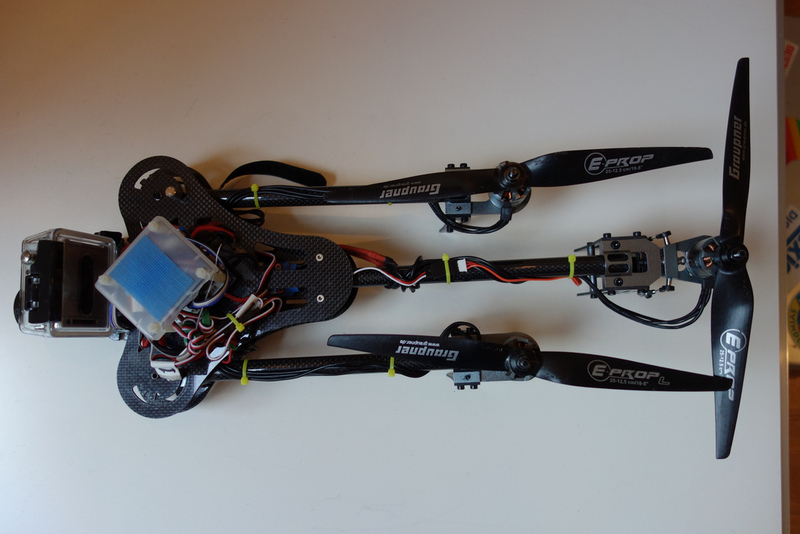 I just put together the Talon tricopter. The one I received had the double ball bearing setup in the tail. My problem is getting the KK2.0 setup correctly to work the tail rotor. I just swapped over some of the things I had on the BatBone, I did the -100 on Channel 4 and that did help my BatBone, but it was never that stable. I am going to do a factory reset, recalibrate everything and reload the motor layout. 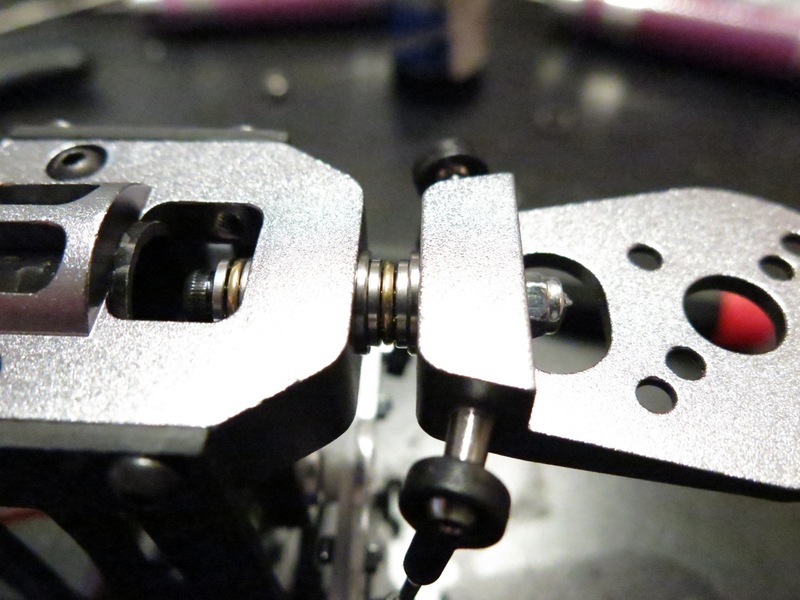 I am using the Turnigy 306G Ultrafast High Torque Digital metal gear servo. What is happening is that is seem to hold steady when I power up, it does not seem to move with the rudder (I did check my signal wire is hooked up on Motor 4, I am drawing power +/- hooked up to the receiver, I did have that issue before on the batbone) – The servo is getting power and after flying around, it starts to tip whatever way it wants, then will often just totally throw to one side or the other and hold. Any ideas? I have several KK2-cards but haven’t tried any of them on my Tri. They’re used in quads, hexas and one running OpenAero in a plane. On the Tri I have only used MultiWii. Try the KK2-thread on RCgroups. Lots of experienced helpful people there. Hello – Can you please post your KK2 board settings?